Channel the power of collaborative selling through Zoho CRM. 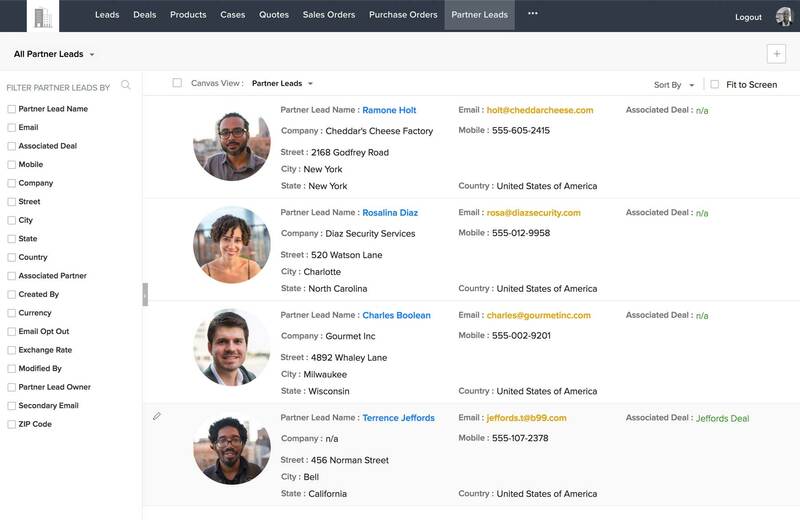 Zoho CRM's Portals helps bring your customers, vendors, and partners closer. Let them make smarter buying decisions in the future by providing greater visibility across your sales process. Make customers a part of your sales process. Give your most valuable customers?the freedom to interact with your business, without having to go through your entire sales cycle again. Let them browse your catalogue of products and services, place orders, view invoices, and more at their leisure. Collaborate with vendors to meet customer demands. Save time and resources that were previously dedicated to status calls and emails, with a dedicated portal for your vendors. 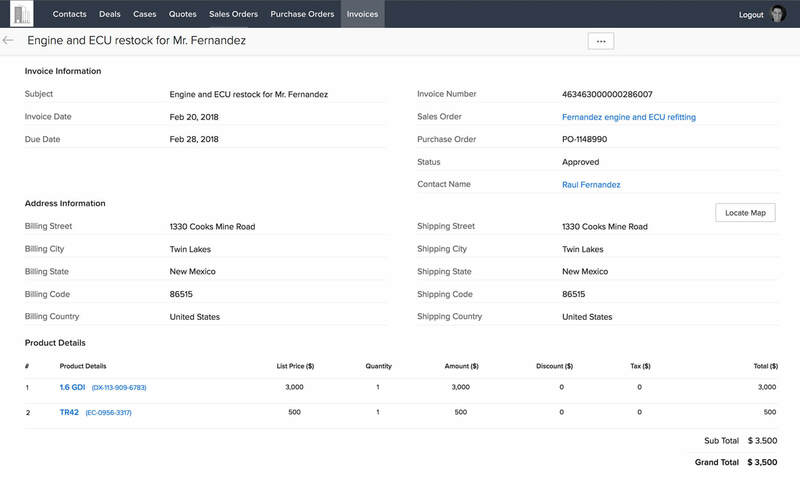 This streamlined communication ensures any order conflicts or disputes can be quickly resolved, which builds supplier loyalty. Conduct transactions and view invoices to foster a strong business relationship with your vendor. Keep your customers close, your partners closer. Keep communication open and transparent by providing your partners with their own portal. 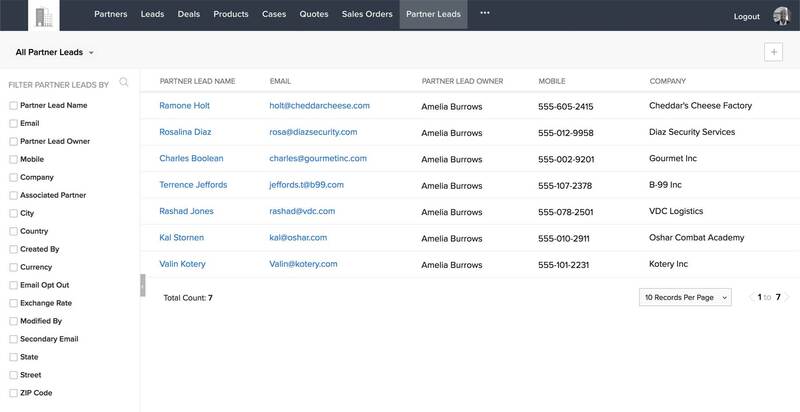 Let your partners access the required CRM information to ensure everyone stays on the same page and collaborate on deals for effective reselling. In return, generate actionable information from your partners through referral programs for a consistent and mutually profitable relationship. A truly unique view for your Portals. Collaborative selling gets a whole new meaning with the launch of Canvas in Zoho CRM Portals. 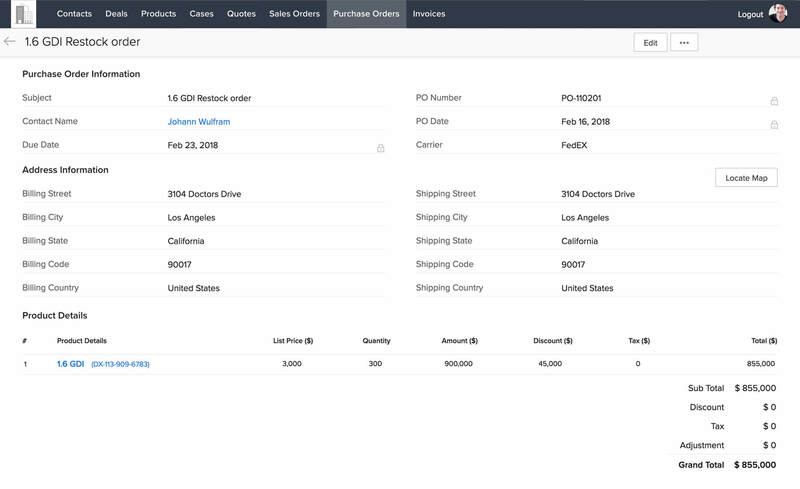 Create an online catalog of your products and services with the canvas view, export it to your customers, and let them view your inventory to make purchases. With a visual display of your records, you can create the ideal space to show your vendors exactly what you want from them. Have some records you want to share with your business partners? Stylize the view with Canvas, share it through Portals, and you're done!